The day that J and I get to meet our little girl is getting closer and closer. As one of those steps along the way, we signed up for a tour of the Birthing Center at Borgess Hospital. The tour was at night on a day I have off. With J’s sleep schedule, a nighttime commitment can be tough. She slept pretty much up until the time we needed to leave and I didn’t really feel like cooking for myself, so after the tour, I decided to pick up chicken. 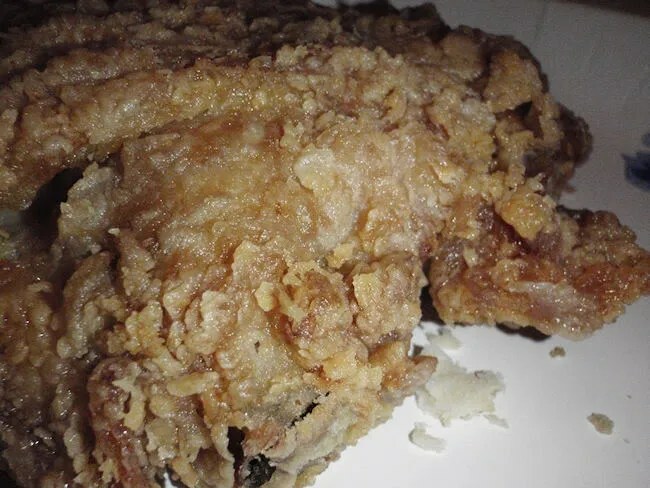 There are two Lee’s Famous Recipe Chicken locations in Kalamazoo. We have eaten a few times at the Westnedge location because we used to live pretty close to it. We almost never have business on the east side of town, so neither of us have ever paid much attention on our way to Gull Road to the Lee’s that sits on Riverview Drive just south of the Gull Road intersection. The building is on a pretty small lot right next to the McDonalds. 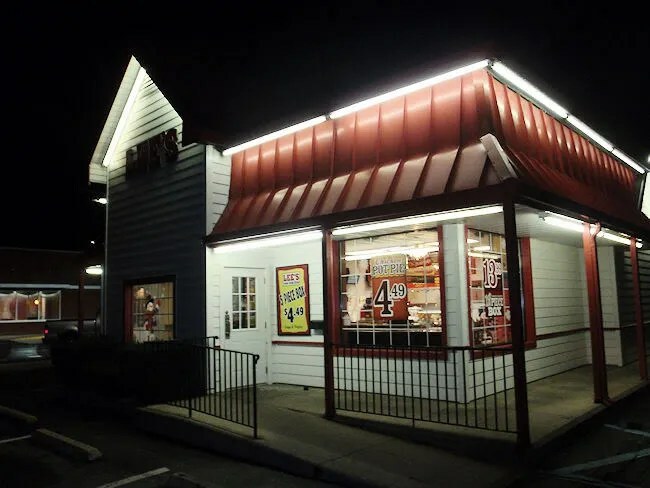 The building is pretty standard for the chicken chain, but the inside is awfully small. There are only three tables in the small dining room. We walked in about a half hour before closing and the nighttime crew was already working on clean up. The lady working the counter was very friendly and made small talk while we decided what to order. I didn’t figure J was going to eat so I was just going to get one of the combo meals, but she suggested getting a larger box meal with the sides. She would eat one piece of chicken that night as well as a side then save some for breakfast when she got up….which at that point was just going to be a few hours. We ordered the Eight Piece Box which comes with two large sides and four biscuits. The order taker tried to talk us in to a larger box for just a few bucks more, but we didn’t need that much chicken. We split the sides. I ordered the Potato Wedges while J got the Green Beans. She also ordered a large Sweet Tea which she thoroughly enjoyed but paid for later when she tried to get some sleep. The bill was a little over $21 for a meal that would feed us for three days. When we got home, we both went straight for the white meat. I grabbed a breast while J picked out a wing. We ordered the Crispy Plus Spicy which is very crispy and a little spicy, but nowhere near the spicy of Popeyes. The chicken was nice and moist underneath that super crispy skin. J only ate the one piece but I ended up eating three pieces in addition to my potatoes. The potato wedges were plentiful, but they were pretty soggy. I don’t usually expect crunchy potato wedges, but these tasted like they had steamed a little in the box. 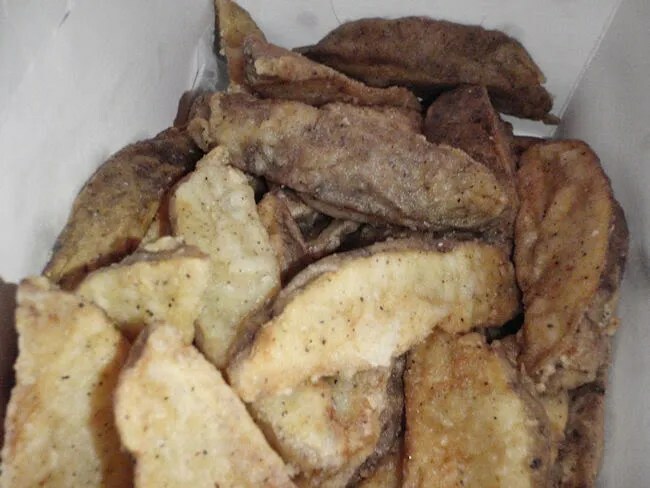 I think I always have the same complaint about the wedges at Lee’s, but I keep ordering them, so that should tell you they’re not awful. 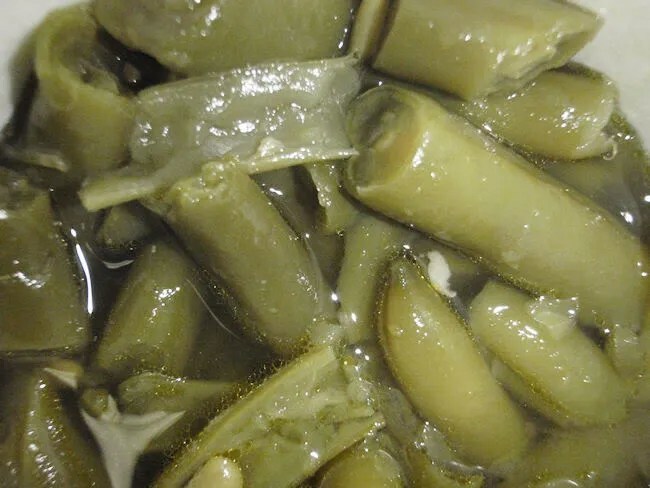 J ate about half of her green beans and didn’t say anything about them. She did put the rest in the fridge for later, so that makes me assume they weren’t bad. 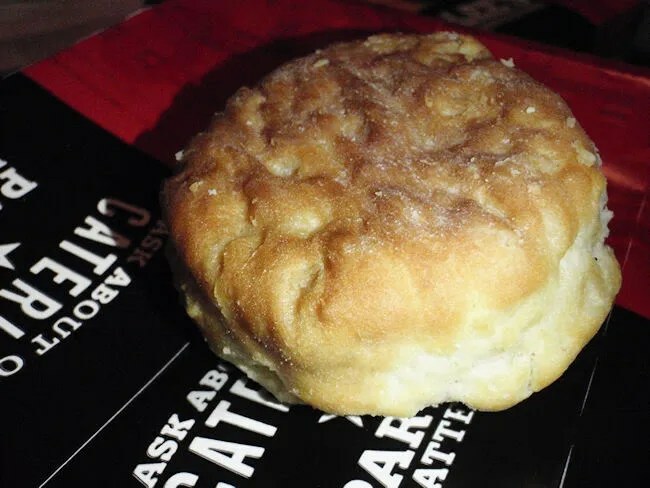 The biscuits are buttery and flaky. Better than KFC, but nowhere near as good as Popeye’s…then again, biscuits are the big reason I go to Popeye’s. This trip to Lee’s has been just like all the others. 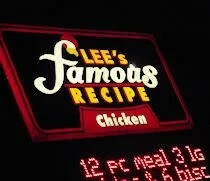 I’m a pretty big fan of Lee’s and they’re probably the best chicken in Kalamazoo on a consistent basis. I am making my post here because I don’t see anywhere else on your page to contact you, I hope this is okay. I remembered you’re a fan of Dinners, Dirve-Ins and Dives, Here’s an article about them doing some new shows in Michigan.